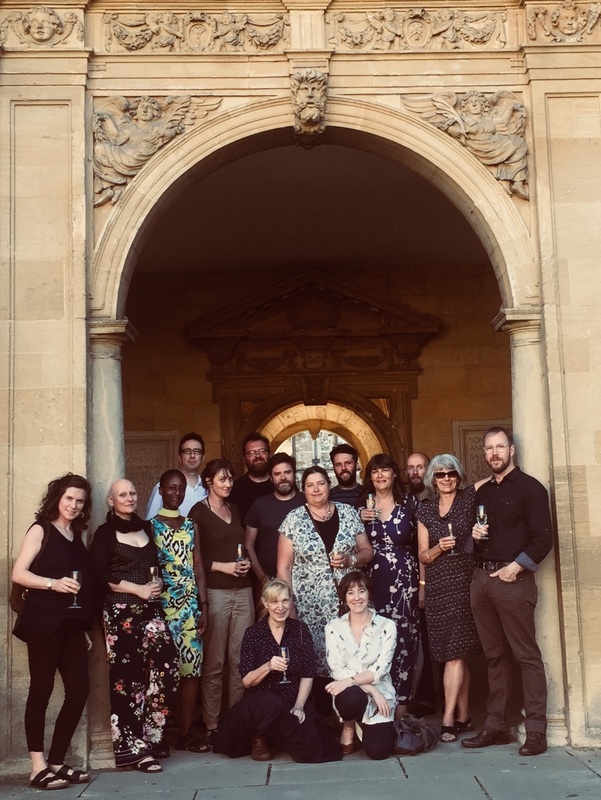 This is truly Oxford’s ‘Summer of Fantasy’, and so there was clearly something in the warm summer air that cast its spell over the Modern Fairies’ Project’s first gathering at the Barn in St John’s College, University of Oxford, the college’s dedicated art and music space. This was the first time that the artists had come together on the project, and it was very exciting for the investigators to meet our musicians, writers and artists and to see how such a talented and imaginative group of people quickly began to gel together, to start throwing out wonderful and vivid ideas. The stories about fairies that the artists have now begun to think about will be reshaped into different forms: art, words, music and drama that will truly challenge and inspire audiences as their ideas take on fuller form. The artists talked about their prior ideas and thoughts about fairies and how their reactions changed when they read the stories chosen for the project to focus on. Themes that began to emerge – the ideas that somehow caught light – centred on ideas of loss, differing notions of how time passes in this world and the fairy world that lies just to the side of it, the sense of slippage when people travel between worlds. Other artists picked up on the radical possibilities fairies, especially urban fairies, might offer, and were seized by the summoning power of spells. Musicians, illustrators and writers broke up into fluid small groups, experimenting, talking, singing and playing; kernels began to emerge from which new pieces will sprout; ideas about how to bringing the themes together were tossed up in the air. Steven Hadley, the Project’s Research Associate, interviewed the artists about their ideas about their creative processes and the kinds of audience they imagined for the work. Sessions were filmed and / or recorded for future analysis, allowing the project to trace ways in which artists’ thinking about their own work in progress changes and grows as their immersion in the project develops. The Project next meets in Sheffield on September 26th and 27th; work in progress will be presented in the Festival of the Mind’s Spiegeltent on the 27th and we’ll see what the seeds planted in hearts and minds this week have sprouted into. I think this project looks amazing, I can't wait to see how it develops!